Dallas, Texas — The Boy Scouts of America announced a proposal today to lift its ban on openly homosexual members, while retaining its existing policy barring openly homosexual leaders. The proposal, which will be voted on by approximately 1,400 scouting members next month in Texas, is stated to come as the result of a survey that was issued to an estimated 1 million scout affiliates in February. Approximately 200,000 responded. “[A] change in the membership policy specific to youth only would be consistent with the religious beliefs of the BSA’s major chartered organizations,” it asserted. Reaction to the proposal has been mixed. “By refusing to consider an end to its ban on gay and lesbian parents, the Boy Scouts have missed an opportunity to exercise leadership and usher the organization back to relevancy,” Rich Ferraro, Vice President of Communications at GLAAD, told reporters. As previously reported, the headquarters of the Boy Scouts of America announced in January that it was considering the revocation of its ban on openly homosexual leaders and members. The following month, the organization advised that it would postpone its decision until May. 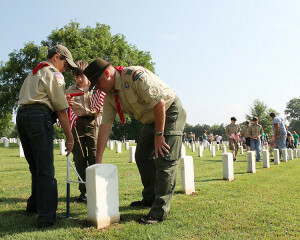 “After careful consideration and extensive dialogue within the scouting family, along with comments from those outside the organization, the volunteer officers of the Boy Scouts of America’s National Executive Board concluded that due to the complexity of this issue, the organization needs time for a more deliberate review,” it wrote in a written statement. However, some Christian organizations have been concerned about which way the Scouts might lean in making their decision. A vote on the matter is set for May 20th during the National Council in Dallas.